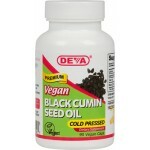 DEVA™ Black Cumin Seed Oil is one of the finest black seed supplements on the market. From Indian Ayurveda to Chinese herbalism to ancient Egyptian, Islamic and Greek herbal practices Black Cumin Seeds (a.k.a. Nigella Sativa) have long been used in nearly every major health tradition. 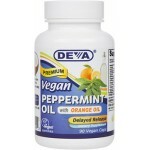 Vegan Peppermint Oil combined with organic orange oil and organic coconut oil. 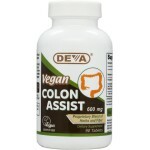 These high quality oils are encapsulated in vegetarian delayed release capsules to help reduce aftertaste issues. 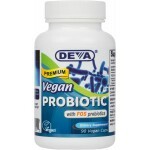 Deva Nutrition is proud to introduce its Vegan Probiotic with FOS Prebiotics containing 2 Billion CFU of Bacillus coagulans and 100 mg of Fructooligosaccharides per vegan capsule.